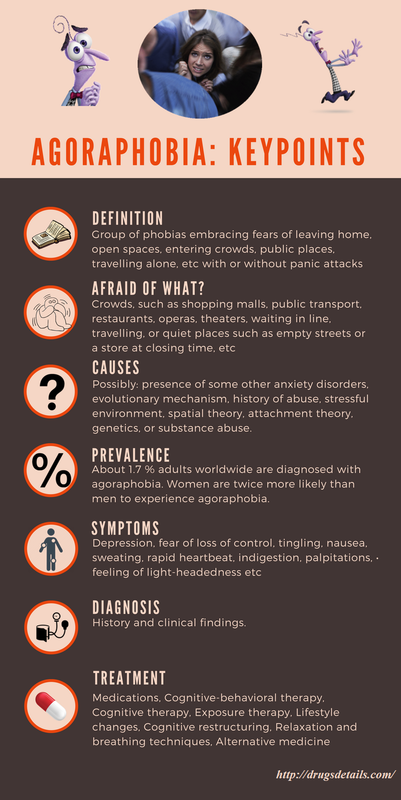 According to WHO (World Health Organization): agoraphobia is a fairly well-defined group of phobias embracing fears of leaving home, open spaces, entering crowds, shops and public places, travelling alone in buses, trains or planes, or simply every place outside the home. Panic disorder is commonly associated with agoraphobia of both present and past episodes. Except panic disorder, depressive and obsessive-compulsive symptoms or social phobia may be also present in patients with agoraphobia. Avoidance of the situations that may cause phobia is very prominent, and some patients may experience little anxiety because they are able to avoid their phobic situations. The DSM-IV describes Criterion A of agoraphobia as anxiety disorder about different sometimes specific places or situations from which escape if some kind of unexpected or unwanted body anxiety symptom or symptoms occur would be either difficult or embarrassing. Criterion B describes that these situations require the presence of a trusted person such as family member, or are much severe with great distress. Criterion C describes that the anxiety and situational avoidance is not better described by another anxiety disorder, such as social phobia or specific phobia. DSM-IV doesn’t recognize agoraphobia as an individual diagnosis. The meeting criteria for agoraphobia diagnosis are panic disorder with agoraphobia (PDA) or agoraphobia without history of panic disorder – AWHPD. Both diagnoses need that the symptoms to be fully explained by a general medical condition and don’t reflect the direct physiological effects of a substance. What are patients with agoraphobia fear of? Common agoraphobic situations include: crowded places such as shopping malls, public transportation, restaurants, operas, and theaters, waiting in line, aircraft, travelling far from home, or quiet places such as empty streets or a store at closing time. Patients with agoraphobia fear of described situations because of their irrational thoughts that escape from such places might be too difficult in the case of an emergency, or that help might not be on time or available if panic symptoms or other embarrassing symptoms occur. The agoraphobic person feels that when panic attack occurs something bad will happen to them. These negative thoughts and fears are mostly about a fear of illness, harm and death including having a heart attack, stopping breathing or dying, or a fear of public embarrassment and scrutiny such as falling down and making a fool of self. Such high distress and discomfort may need another person’s company in such situations. 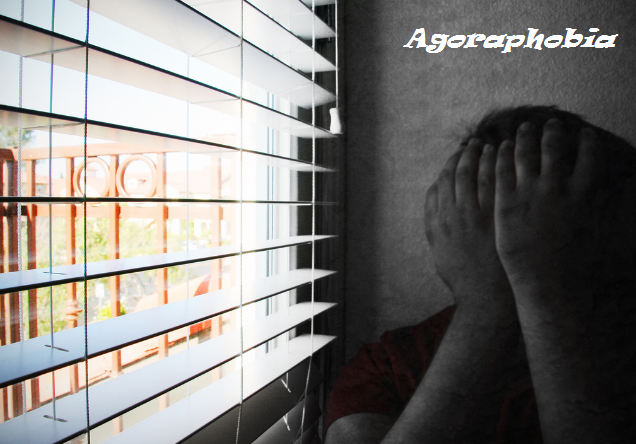 The beginning (onset) of agoraphobia can be sudden and unexpected or it may take some time such as months or years for the condition to be developed from a mild anxiety to severe disorder. The signs and symptoms of agoraphobia usually occur almost every time the situation is faced and may last for more than 6 months. Characteristically, patients with agoraphobia limit themselves to a “zone of safety” limiting their movement around the home or the immediate neighborhood. Any movement beyond these boundaries creates rising anxiety. In most severe cases patients may become so distress that will be unable to leave their homes. Such patients may become housebound for years, evident social and relationship impairment. Estimation is that more than 1/3 of patients with agoraphobia have severe type of this disorder and they do not leave their huses and are unable to work. Agoraphobia is pronounced as [ag-er-uh-foh-bee-uh]. About 1.7 % adults worldwide are diagnosed with agoraphobia. Women are twice more likely than men to experience agoraphobia. Initial onset of this mental disorder is usually in late adolescence or in early adulthood, although there are also reported cases in childhood as well. The American Psychiatric Association (APA) has estimated that the 1-year prevalence of panic disorder is about 1% to 2%, with 1/2 of these patients also suffering from Agoraphobia the US National Comorbidity Survey (NCS) lifetime prevalence estimated that panic disorders with or without agoraphobia are present in 3.5% of population. The different negative thoughts that cause fear and anxiety aim to change with age so children frequently fear of becoming lost, adults usually fear of experiencing panic attack while elderly may fear falling. Agoraphobia is most commonly accompanies with some other mental disorder such as panic disorder, social phobia or a specific phobia but also depression. Who are famous people with agoraphobia? In most cases a person may have a panic attack for many different reasons, but most commonly because of some severe stress and after that a real fear develops that may or may not happen again therefore situations are being avoided reminding the person of the previous panic attacks. Although the exact causes and mechanism of agoraphobia development is still unknown, some experts think that this condition may have primary triggers such as: presence of some other anxiety disorders, evolutionary mechanism, history of abuse, stressful environment, spatial theory, attachment theory, genetics, or substance abuse. Mowrer proposed that some intense fear is initially acquired from some typical conditioning experience and after that avoidance of this conditioned stimulus situation continues the fear by preventing extinction of this fear response. According to this theory, phobia of certain public places will originate when some type of harmful or aversive event occur in that context and so the patient want to avoid that particular situation due to their conditioned fear response. Additionally, as a support of this model, Öst and Hugdahl found that 81% of their participants could easily identify a specific conditioning experience which leads to their fear. Newer behavioral theories were focused on fears and what may happen in feared situation rather than fears of the situation itself. “Fear of fear” theory by Goldstein and Chambless proposed that agoraphobic avoidance is a result of a certain fear impending panic attack or other feared bodily sensations. According to this theory, bodily sensations may become conditioned to the averse physiological stimulation related with panic attacks. Since these sensations can trigger an unwanted panic attack depending on situations, patients will avoid different agoraphobic situations out of fear that they will be unable to handle with their panic if it were to occur in such situation. Heritability links with agoraphobia is reported in almost 61 %, suggesting that this condition is strongly connected to the genetic factor influence giving important predisposition to phobias. Hereditary in combination with environmental factors such as severe stressful events (e.g. the death of a parent, being mugged or attacked) or being raised in a household may be the key of agoraphobia development. According to Craske, genetic influences are well established, however genes only explain a half of the picture. Thus, environmental factors also impact the individual to be susceptible and experience negative emotions depending on situations. Craske also described that initial experiences with stressful situations, particularly events in which the person perceived them to be unpredictable and difficult to control, may also lead to the negative affectivity temperament. Other predisposed factors for agoraphobia development may include: overprotective parents behavior, parental modeling of anxious behavior and parental encouragement of anxious behavior and avoidance. Barlow proposed that person may be predisposed to experience anxiety via both biological and psychological vulnerability factors. According to him, when some stressful event triggers a physiological fear response, then person may become fearful of the associated cues due to a particular tendency to show unexplained physical sensations as life-threating. This fear may further lead to the anticipation of unwanted somatic sensations in the future, so called “anxious apprehension.” Agoraphobia will be developed when the person responds to feared somatic sensations and anticipation of future cues with behavioral avoidance of certain situations. This avoidance will maintain the fear of undesirable sensations with a need to be avoided in certain situations. Evolutionary theory explains that agoraphobia without panic attacks may be described as a specific phobia and explained as an evolutionarily advantage to avoid large, exposed, open spaces without shelter or concealment. According to this theory agoraphobia with panic attacks, may be described as secondary avoidance response to the panic attacks because of the fear of situations in which such attacks was experienced. In the social disciplines, a supposed clinical bias exists in agoraphobia research. Different branches of the common social sciences, particularly geography, have progressively become interested as something that is called a spatial phenomenon. One such method associates the development of agoraphobia with modernity. Factors that may contribute to agoraphobia within modernity are urbanization and the ubiquity of cars. All of these have made expansion of public space on one side, and the contraction of private space on the other, therefore creating in the minds of agoraphobic-prone people a tense, unbridgeable gulf between the two. Drugs including tranquilizers and sleeping pills such as benzodiazepines have been associated with causing agoraphobia. According to some reports, patients who had developed agoraphobia after benzodiazepine abuse, their agoraphobia symptoms decreased after first year of withdrawal. Similarly, alcohol abuse is also associated with panic attacks with or without agoraphobia. Such link may be caused by long-term effects of alcohol use that may cause a distortion in brain chemistry. According to some studies, tobacco smoking can be also associated with the development of agoraphobia, often accompanied with panic attacks. However, it is uncertain how smoking can result in panic disorder with or without agoraphobia symptoms. According to some experts, direct effects of nicotine or nicotine dependence effects on breathing have been proposed as possible causes. Self-medication may also explain the correlation between tobacco smoking and agoraphobia with or without panic attacks. Although not so common agoraphobia may begin in childhood, but it usually starts in the late teen or early adult years before age of 35, however older adults may also develop it. Women are diagnosed with agoraphobia more often than man. Agoraphobia may have a great impact on normal life’s activities. In some cases agoraphobia can be severe enough that patient can’t be even able to leave home. Without adequate treatment, some patients may become housebound for years. Some patient may not be able to visit their family and friends, go to work, school or college, or take part in any other normal daily activities. Patients with severe agoraphobia usually become dependent on others for help. Being in open spaces: parking lots, empty streets, marketplaces, bridges. Standing in line or being in a crowd. The patients with agoraphobia will fear or try to avoid these situations because of negative thoughts that escape might be very difficult or help might not be available in time of developing panic-like or other embarrassing symptoms. The agoraphobic situations are actively avoided and may need the presence of a trusted companion, or are affected with intense fear or anxiety. The fear or anxiety is a way out of rational actual danger posed by the agoraphobic situations and to the sociocultural context. Agoraphobia provokes clinically significant impairment and distress in social, occupational, or some other significant parts of functioning. In the presence of another medical condition such as: IBD – inflammatory bowel disease or Parkinson’s disease, the fear, anxiety, or avoidance will be clearly excessive. Agoraphobia symptoms can’t be better explained by the symptoms of some other mental disorder – for example, specific phobia of a situational type; social anxiety disorder or obsessive-compulsive disorder, dysmorphic disorder, posttraumatic stress disorder or the fear of separation. Agoraphobia is commonly diagnosed together with the presence of panic disorder. If a patient clinical presentation meets criteria for agoraphobia and panic disorder, both diagnoses should be assigned. Psychotherapy is a type of therapy that involves co-operation with a therapist to set primary goals and learn practical skills in order to reduce anxiety symptoms. Cognitive behavioral therapy (CBT) has been shown to be one of the most effective types of psychotherapy for anxiety disorders, including agoraphobia. A short-term CBT focuses on teaching specific skills for better anxiety toleration of anxiety by directly challenging worries and by returning to the everyday activities step by step that were avoided because of anxiety. The most important advantage CBT compared to medication is that it has been shown to be more efficient several months to years after treatment has finished. 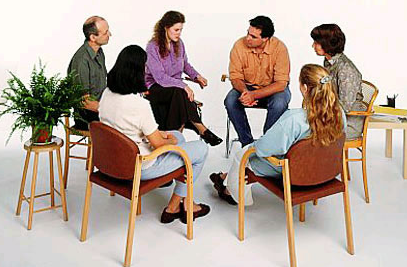 Most experts and guidelines recommend combination of medication treatment and CBT. CBT usually need at least 8 to 12 weeks for best results. Some patients may still need more time in order to learn and implement their newly acquired skills. Systematic desensitization is a type of exposure therapy and a behavioral technique used to treat different phobias. It is mainly based on having the patient relax and to imagine the components of the phobia, interpreting from the least fearful to the most fearful. Graded real-life exposure technique has also been used with success to help patients overcome their fears. This technique includes exposure to real and aversive situations, progressing from less to more extreme situations, e.g. a person can be in contact with some people before they gradually spend time with larger groups in order to overcome a fear of crowds. Patient will work with a therapist in order to develop different coping strategies such as relaxation and breathing techniques. While real-life or in vivo exposure is best, imagined exposure is also acceptable alternative in desensitization exercises. Some studies showed that exposure therapy reduces anxiety and improves quality of life within 75 % of cases. This treatment also involves discovering specific triggers for panic attacks and understanding the fears about the symptoms of panic. Triggers might be a situation, thought or a slight physical change such as rapid heartbeat. Patient with agoraphobia will be taught to be more realistic in his/her interpretation of panic symptoms and different feared situations. Patients who have agoraphobia accompanied with panic attacks may benefit from a prescription drugs in order to prevent panic attacks or reduce frequency and severity of anxiety symptoms, but also to decrease the related anticipatory anxiety. When patients find that their panic attacks are less sever and common, they become able to get into situations that previously have been causing anxiety. Tricyclic antidepressants are older than SSRIs and are as effective as SSRIs for anxiety disorders. Imipramine is the tricyclic antidepressant that is most commonly used for this condition. Imipramine is usually started with small daily doses that are increased on every few days until the most effective dosage is achieved. Such slow introduction of this drug will help in minimizing side effects such as constipation, dry mouth and blurred vision. Amitriptyline (Elavil) or nortriptyline (Pamelor) is also commonly prescribed. Tricyclic antidepressants should be used in combination with exposure therapy or cognitive behavioral therapy. A combination of antidepressants and cognitive behavioral therapy has been shown to be the most effective treatment for agoraphobia. In the case of agoraphobia, treatment with high-potency benzodiazepines is usually maintained for six months to a year. If they are discontinued abruptly patients may experience withdrawal symptoms such as: malaise, weakness, tachycardia and other unpleasant effects. Reducing the dose step by step minimizes these problems. There may also be a recurrence of panic attacks after the medication is withdrawn. MAOIs are a class of antidepressants that have been shown to be effective against panic disorder with or without agoraphobia. Phenelzine is the MAOI drug that is most commonly used. Treatment with phenelzine should be started with low daily doses that should be gradually increased until panic attacks fade or the patient reaches a maximum dosage of about 100 mg/day. During MAOI therapy, dietary restrictions should be made especially with food rich in tiramine (aged cheese, red wine, smoked fish, cured meats and some beers) since tiramine may interact with MAOI to causing a sudden, dangerous rise in blood pressure. All patients who are on MAOIs therapy should obtain their healthcare provider guidance about dietary restrictions and should consult with them before using any OTC or prescription medications. It is known that panic attacks can be made to be far worse by over-breathing as a cause of hyperventilation. By slowing breathing in patients with anxiety, breathing rate can be very effective for some people to help deal with a panic attack but also to prevent a serious attack from occurring. The slow-breathing technique is a good skill that is easy to learn and can be used at times when you experience every anxious symptoms. Even when you are not anxious and do not usually over-breathe, it is also useful strategy to focus attention on slowing yourself down to remind. It is important to train this technique until you fully become able to automatically start with slowing your breathing in response to anxiety-provoking situations and thoughts. Take a regular breath through your nose and hold it primarily for 6 seconds (count or use a watch). When you get to 6, breathe out and say the word ‘relax’ to you in calm, soothing manner. Breathe in and out in a 6-second cycle (in for 3, out for 4). Continue breathing in this way until the anxiety symptoms of over-breathing have gone. There are a number of video tapes and CDs available to assist you in this technique. It is not important which one you choose, the important thing is taking time to relax. Relaxation techniques are also very useful in dealing with anxiety. When we are physically relaxed, chemical signals gets into the different nerves in the muscles changing the nature of the signals that are sent to the brain. This change can bring overall feeling of calm, both physically and mentally. Muscle relaxation has psychological benefit after 3 sessions of exercise per week. Choose activities that you find relaxing and vary the type of exercise so that you are able to establish and maintain a routine. Combination of relaxation and slow-breathing alone have not been shown in general to be effective against panic disorder, although there is some proofs that a form of relaxation known as applied relaxation can be helpful.